The United States of America has only been inhabited in significant numbers since the seventeenth century, and even today no more than 5 percent of the world’s population lives within its borders. Yet the United States has spawned more new products, medicines, leisure pursuits, singers, writers, labour-saving devices, and businesses than any other country, ancient or modern. More Nobel Prize winners in the fields of science and medicine have come from the United States than from any other country. The USA is unique among the nations in that the only human beings to have “slipped the surly bonds of Earth” and visited another planetary body were all Americans. At the time of writing, the only people to have travelled outside the orbit of the Earth were Americans—all born in the USA. No other country has even tried. In short, America has been responsible for thousands of discoveries, innovations, and inventions, and this relentless pace of advancement seems only to be quickening. 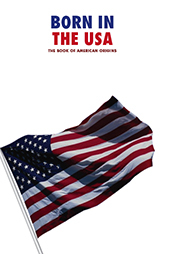 This book celebrates the work and achievements of the great pioneers at the very heart of the USA itself, but alongside the successes of its greatest citizens, we have also arrayed a few of its excesses. 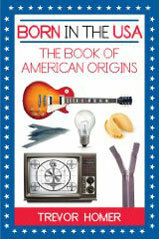 There are several competing claims as to who was the first person actually born in the USA. Some say that in 1587 Virginia Dare, born to English parents, was the first. Others believe that Martin de Arguelles, born to Spanish parents in 1566, beat her to it. Still others claim the winner to be Snorri Thorfinnson, who was born to Icelandic parents in the year 1000. The first musical single by a British band to reach number one in the U.S. charts was the 1962 instrumental Telstar by the Tornados (in the USA - Tornadoes), which was named after the satellite. Actually, sometime between 35,000 and 15,000 years ago, human beings crossed the land bridge between Asia and North America and journeyed south through what is now Canada into the present-day USA. Whatever the true date, there must have been a child born to those migrating Asians, and that child was the very fi rst to be born in the USA—or the region that would one day become the USA, at least. If any of those children could return to the present and see everything that has been born in the USA since their days, they would be awestruck. From Bubble Wrap and bubblegum to burglar alarms and the Bill of Rights, from men-on-the-Moon and Monopoly to microwave ovens and M&Ms, let’s take a look at the things that would have filled those children with awe. We will be no less awestruck ourselves.